Speed, bonnie boat, like a bird on the wing, 'Onward!' 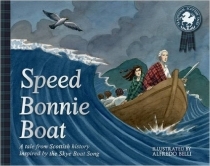 the sailors cry; Carry the lad who's born to be king Over the sea to Skye.Sung all over the world, the Skye Boat Song evocatively brings alive the story of Bonnie Prince Charlie's famous journey from the Outer Hebrides to Skye, off Scotland's west coast, after his defeat at the Battle of Culloden. 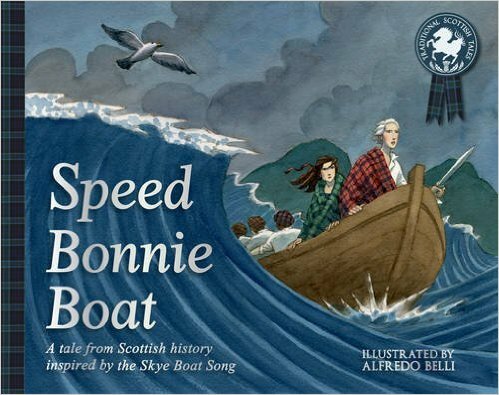 This beautiful picture book, inspired by the lyrics of the traditional Scottish folksong, illustrates the true story of one of Scotland's most famous heroes and introduces younger children to this dramatic period of Scottish history.